We are excited to announce we have featured in not 1, but 2 pages in Bridge For Design, Spring 2018 issue! 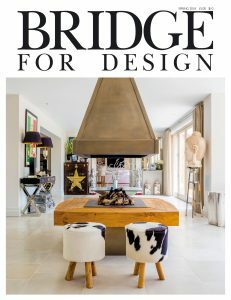 Bridge For Design, named one of the top 100 interior design magazines in the world, is a must read for anyone interested in the world of interior design. 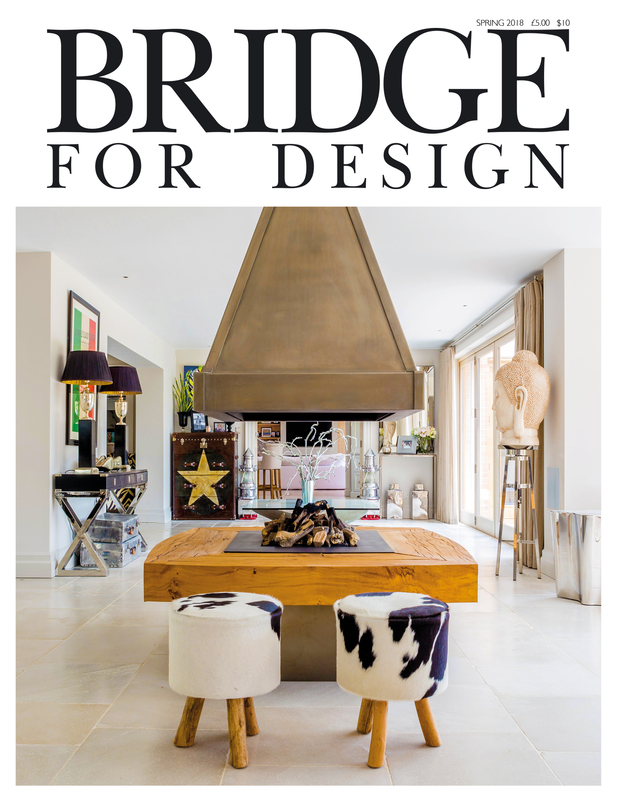 Published four times a year Bridge For Design offers an irresistible mix of beautiful homes, interior design news, informative design trend views and advertisers that you won’t find elsewhere. 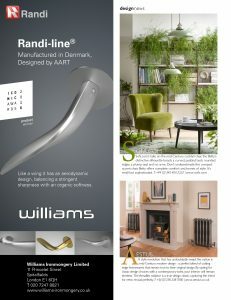 The Randi-line ‘Wing’ handle is a product winner for the iconic awards 2016. Randi-line Wing is an elegant lever handle. 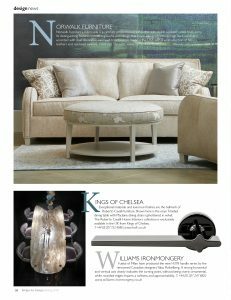 The award winning design of Wing is reminiscent of an aircraft wig. Available in satin stainless steel or bright polished brass. Fusital of Milan have produced the new H378 handle series by the renowned Canadian designer Yabu Pushelberg. Available in dark bronze, light black, polished chrome and copper.